Поне за себе си започвам да го наричам това изложение, изложение на прототипи и идеи. Некой идеи са очевидно странни. За какво ти е товарен безпилотник? Съпътстващата инфраструктура и персонал, ще са на порядък по скъпи, от нещо като Спартан с един пилот вътре. И няма да са толкова гъвкави. Поне за себе си започвам да го наричам това изложение, изложение на прототипи и идеи. Няма смисъл са сме толкова абстрактни. Това по същество е алиекспрес за тежко въоръжение. Предлага се всичко, а всеки купува каквото му трябва. Това, дето не трябва на никого, отпада по естествен път. За какво ти е товарен безпилотник? Съпътстващата инфраструктура и персонал, ще са на порядък по скъпи, от нещо като Спартан с един пилот вътре. И няма да са толкова гъвкави. Ами според мен основното предимство е, че няма да губиш пилоти над джунглата. А технически винаги ще е по-евтино да возиш само товар, отколкото пилот и товар. Комуникациите вече са стотинки. Мисля, че сериозно подценяваш предизвикателствата пред тежките безпилотни системи. Не случайно, има специални локални станции за приземяване дори на най-съвременните системи. Тук не става въпрос колко ще рискува пилота, а че за над 80% от типичните здачи това нещо няма да си изпълни задачата дори теоритично. Не случайно, има специални локални станции за приземяване дори на най-съвременните системи. Тук не става въпрос колко ще рискува пилота, а че за над 80% от типичните здачи това нещо няма да си изпълни задачата дори теоритично. Не знам как може една задача хем да е типична за нещото, хем да е неизпълнима дори теоретично. Ако 80% от задачите са неизпълними, значи примерно 10% ще са типични и 10% ще са нетипични, но изпълними. Пример за типична задача - прекарване на два тона боеприпаси от летище А до летище Б. Толкова можел да носи - 2 тона. Пример за нетипична задача - пускане на тон и половина боеприпаси с парашут в точка А.
Хмм, само 4 бройки от големите а като че ли има място за още? Иначе ми се виждат плитки май няма да могат да поемат някоя по сериозна ПКР примерно. Интересно тия още ли имат капацитет да правят новопроизведени Р-27, преди време дори имаха план за модификация с активна ГСН ? F-35 поема, сигурно и J-20 ще поеме. Поема JSM , китайски подобни за сега няма. Иначе може би AKG400 може и да напъхат. Не го виждам в скоро време с нещо по-сериозно, ще си е като Раптора. Просто като са писали техническото задание през 90те от ВВС са искали изтребител и такъв си получават. Нямат планове да го ползват в други роли, съответно всякакви усилия да се направят смислени ПКР, които да влизат в него ще са на заден план и резултата няма да е скоро. При J-31 е помислено и за ударни задачи, но няма признаци че на ВВС им е интересен. На ниво слух съм срещал, че не се кефят на J-15 като тежка и единствена машина на бъдещите самолетоносачи с катапулт и се оглеждат за алтернативи, включително J-31. Не знам има ли развитие. Not long after the J-31 fighter prototype from Avic’s Shenyang Aircraft Corp. appeared in 2012, analysts realized that it was not, after all, a new combat aircraft for the Chinese military. It was just a technology demonstrator from a well-resourced but frustrated state company that had lost two air force fighter competitions in a row. Now the J-31 has indeed become a government-funded project, apparently rescued by the shortcomings of the J-15, a naval Flanker derivative also built by Shenyang Aircraft. The navy needs the J-31, and the air force wants it, too. State arms organizations are meanwhile working on improvements to earlier fighters, including the two that Avic’s Chengdu Aircraft builds after beating Shenyang Aircraft in competitions: the J-10 and J-20. At Airshow China, held here on Nov. 6–11, Avic demonstrated a thrust-vectoring nozzle on a J-10. Cetc exhibited radars that revealed a new interest in wide-area fire-control sensors for Chinese fighters. The J-31 is being developed for domestic military service under government contract, an official source says. The type is now intended to serve with the navy, says the source, confirming rumors and speculative news reports that have appeared over the past few years. The air force also wants to put the J-31 into service, says the source, declining to provide more information. Shenyang Aircraft has built two J-31 prototypes, the second of which appeared in late 2016 and is larger than the first. The navy evidently needs the J-31 as a shipboard fighter to replace the J-15, which reportedly suffers from unstable flight control—a severe problem for carrier landings. Lt. Gen. Zhang Honghe, deputy head of the air force, told Hong Kong’s South China Morning Post in July that a new fighter would replace the J-15, which is also built by Shenyang Aircraft. The J-31, also known as the FC-31, was competing for the navy contract with the J-20 from Chengdu Aircraft, the Sina web portal reported in July. The J-20’s wing loading looks high, making the large fighter an improbable candidate for shipboard operation, which requires low stalling speeds for safe recoveries. Also, state television has shown a model of the J-31 in naval service, though that did not mean it had been selected. The air force’s desire to use the J-31 has not been expected but can be explained by the navy’s willingness to pay for full-scale development. The air force probably rejected an offer of the J-31 from Shenyang Aircraft 8–10 years ago because the service wanted to concentrate resources on acquiring the less advanced but urgently needed J-10: Most fighter squadrons were equipped with obsolete aircraft. Reflecting that urgency, Avic officials said at the time that the group was trying to build the J-10 as fast as possible and could not consider exports. The J-10 cannot have been a candidate as the navy’s J-15 substitute, because the Chengdu Aircraft type has only one engine, a serious safety shortcoming at sea unless extreme reliability can be expected from the powerplant. Maximum weight for the initial J-31 design was 25 metric tons; this has risen to 28 metric tons for the design represented by the second prototype, says Sina’s news service. For naval service, weight would rise to 30 metric tons, it says, citing unnamed sources. Radius would rise to 1,500 km (930 mi.) from 1,250 km, the news service adds, but such figures are almost meaningless if the mission and stores are not specified. An Avic-owned J-10B testbed, in a Nov. 6 flying display, demonstrated China’s new mastery of extreme aerial maneuverability aided by an experimental thrust-vectoring control system. Over a crowd of thousands attending Airshow China, the J-10B’s axisymmetric vectoring engine nozzle enabled several aerial stunts associated with the most agile combat fighters. Thrust vectoring allows a pilot to control an aircraft in an aerodynamic stall condition caused by a low speed and a high angle of attack. By using the vectoring nozzle to rotate the thrust produced by the engine, the pilot can perform tightly controlled maneuvers in a condition that would cause most aircraft to depart controlled flight. In the most dramatic stunt, the J-10B’s pilot pulled the nose back almost 90 deg., then used thrust-vectoring control to rapidly reverse direction in a maneuver known as a “J-turn.” The J-10B also performed an air show stunt familiar to Russian fighters. Pulling the nose back beyond 90 deg. at a very low speed, the thrust vectoring system kept the aircraft in firm control. Such maneuvers, while popular at air shows, have limited value in modern combat against another fighter. Post-stall maneuvering can, however, help a fighter pilot in other ways, such as by avoiding detection by flying with a forward speed lower than the threshold velocity required for being spotted on an airborne early warning radar. 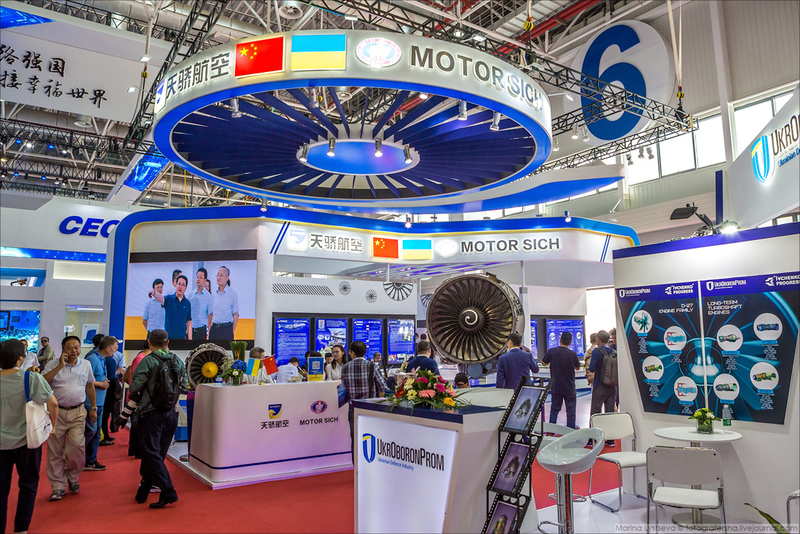 Thrust-vectoring technology has been available to Russian and U.S. pilots since the 1990s but has entered China’s aerial arsenal only recently. The delivery of Sukhoi Su-35 fighters in 2016 introduced thrust-vectoring-control technology to the Chinese air force fleet. Around the same time, pictures surfaced of Avic’s J-10B testbed equipped with a thrust-vectoring nozzle. 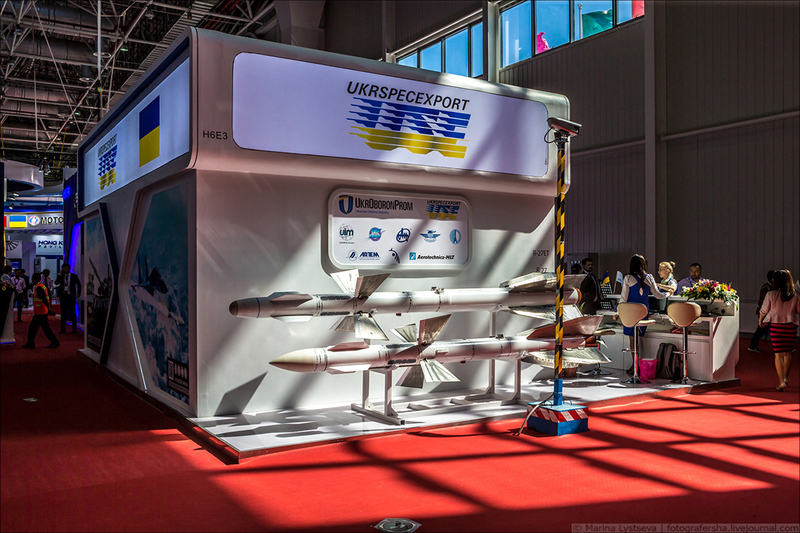 China does not usually exhibit new technology under development for the military, but an official says that in the case of the thrust-vectoring nozzle the country was far enough behind the U.S. and Russia for the matter not to be regarded as sensitive. Since the J-10 has been used as a testbed for the nozzle, the technology can be expected to be applied to production units of that type. 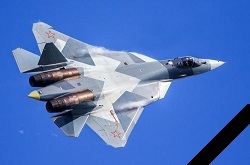 Song Zhongping, a military expert quoted by the Global Times newspaper, says that the test program is also laying the groundwork for applying thrust vectoring to a version of the J-20 fighter under development, called the J-20A. 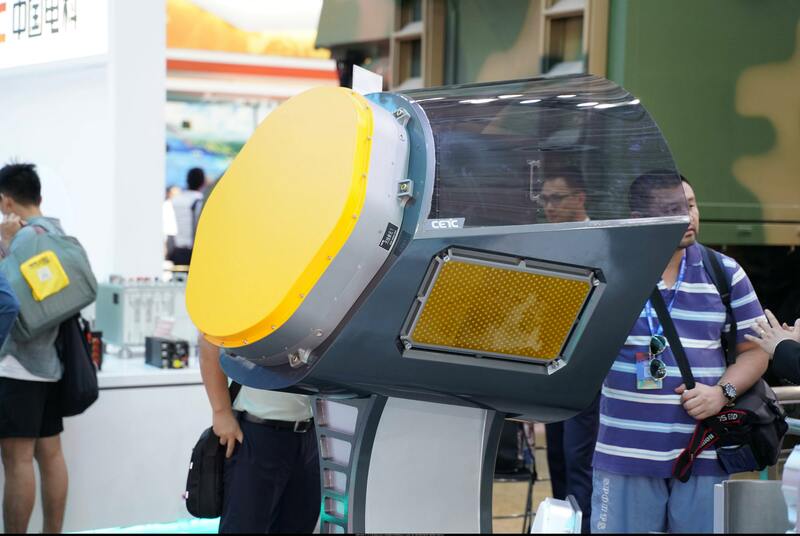 The CETC radars unveiled at Airshow China allow a fighter to search across an arc of up to 240 deg. without making a turn. The group displayed the new sensors in radomes that matched the shapes of the J-10 and J-20. The presentation suggested CETC intended to offer the fire control radars as upgrades for the air force. They had active, electronically scanned arrays (AESA). A radar displayed in a J-20-like radome proposes to introduce a three-antenna array in the nose of a fighter. A front-facing large array sweeps for targets over a 120-deg. field of view, a CETC official says. Two more arrays are mounted on each side of the radome below a J-20-like fuselage chine. Each of the side-facing arrays searches across a 60-deg. field of view. The data from all three arrays is fused together, providing the pilot a 240-deg. radio-frequency map of a battlefield. Cetc also showed another radar in a shape resembling the nose radome of a J-10. This sensor lacked the side-facing arrays but installed the front-facing AESA on a mechanical gimbal. Хората и нямат много доверие (Авиейшън уийк е гола вода по китайските въпроси), но все пак. В частта за ВВС има противоречие с друго инфо, но в частта за ВМС може и да има нещо вярно. Това има ли снимки някъде? Не откривам такова нещо. Според мен автора пише за KLJ-7A от предната страница. Пo-ясна снимка. Не виждам къде може да припознае човек елементи от J-20. Ами да! Не е хубаво да платиш 300% от цената, за да получиш 10% ефективност. И тук не иде реч за сложни задачи, като при военен конфликт. Хвърляне на провизии, евакуации на ранени и цивилни, кацане на импровизирани полоси и необорудвани летища, летене във всякакви условия и т.н. 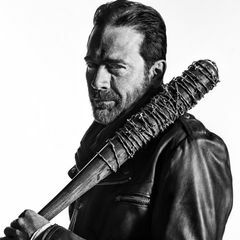 Все задачи които изискват човек, ако и да са рисковани. Имаш ли идея, какви са процедурите при кацане на непознато летище в мъгла? Нека ти кажа какво може да направи твоето самолетче. Да прелети от едно оборудвано с комуникации и персонал летище, до друго такова. Ако времето е хубаво. И когато Китай имат спътникова групировка с тази цел. Това е всичко. Това са възможностите на съвременните експертни системи. Софтуерът и хардуера се развиват бързо, макар и не толкова колкото преди. Целта е да се облекчи пилота и да се премахне вторият пилот. Според мен ще се случи в близко бъдеще в гражданската и транспортна авиация. При военните вече е факт. Например F-35 и Су-35 където ролята на оръжеен офицер е иззета от компютъра. Ами да! Не е хубаво да платиш 300% от цената, за да получиш 10% ефективност. Напомня ми за някои концепции за граждански самолети. По принцип съм съгласен, но не мисля, че този безпилотник има сателитна връзка. По-скоро е с даталинк в рамките на пряката видимост плюс някаква инерциалка. А експертната му система се ограничава до полет по зададен маршрут, на дадена височина. Щели да строят завод за двигатели в Китай. По други данни, щели групово да се изнасят в Китай.